Let’s imagine a relaxing, colorful place, or, as described by the Italian singer-songwriter Roberto Vecchioni, a site with “scattered houses, cobblestone streets, uninterrupted rows of trees, patches of olive trees, rosemary, roses, twisted and mighty oaks, inns that suddenly appear, where you sit down, drink the fresh Lugana, chat, have fun, then you stand up and see there, in the middle of the lake, two sails in love dancing in a circle… “. This place is Lugana, (pronounced loo-gah-nah). A providential piece of land, it lies on the border between Lombardy and the Veneto at the south end of beautiful Lake Garda. A terroir of very rare, stratified clay, rich in mineral salts, dating back to a glacial era. Under the hot rays of the sun it will split into a thousand cracks, but a storm is enough to turn it into a trap of sticky mud. In this place grows a unique, local, indigenous grape, the turbiana — sometimes also called trebbiano di Lugana. For a long time this grape was thought to be a clone of trebbiano di Soave or of verdicchio, or a relative of other Italian trebbiano grapes. But recently, studies at the University of Milan have revealed that this grape is actually not genetically related to any of them. Turbiana creates one of the most elegant and impressive white wines of Italy: Lugana, a white wine so full-bodied and robust it has been described as “a red wine disguised as a white.” Lugana can be sparkling (methode classique) or still. 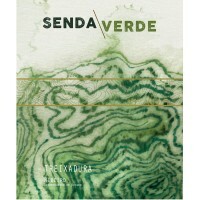 The still wine types are defined as basic, superiore, riserva and vendemmia tardiva (late harvest). But always, when it is young, the wine has a delicious, fruity bouquet and it’s appealing and easy to drink. Ageing, it develops petrol aromas like the best German Rieslings. And it is so food-friendly: perfect with fish and shellfish, but also with grilled foods typical of the area, like the traditional Brescian spit-roasted fowl and meat. Fat and succulent, these dishes pair well with the fresh acidity of Lugana wine. 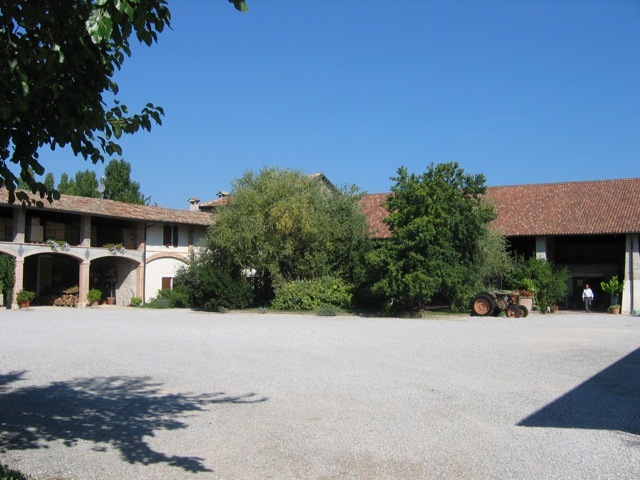 The production area of Lugana is not very large, covering just 1,100 hectares (2,700 acres) of land between the territories of the city of Brescia (Lombardy region) and Verona (Veneto region). 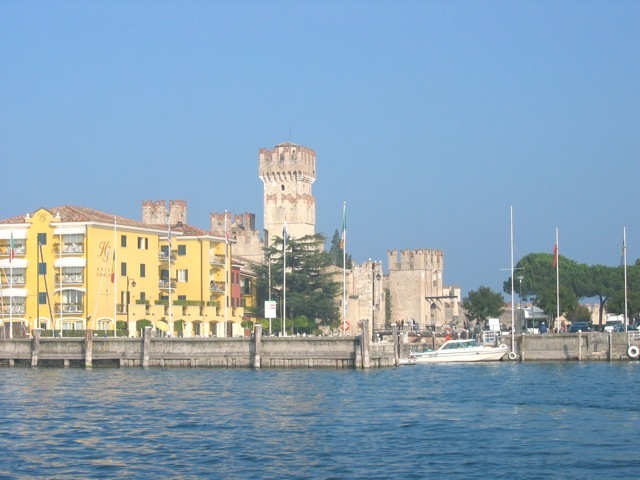 It is among the most beautiful places in Italy because it includes towns like Peschiera, Sirmione, Desenzano, Sirmione and Lonato. All of them are small, beautiful villages, favorites of discerning tourists — authentic pearls of the Lake, rich in history, villas and castles. 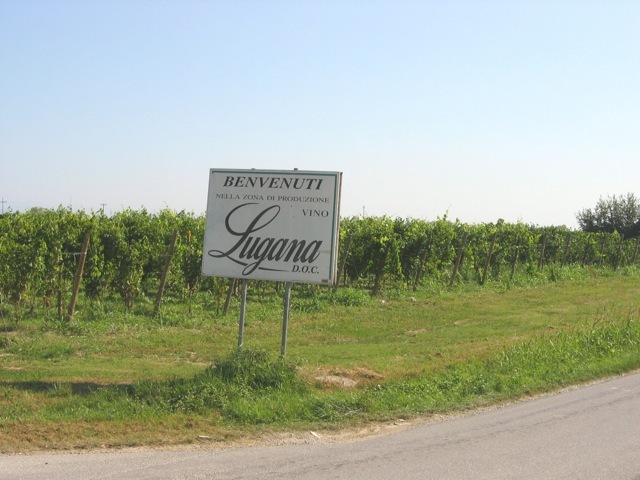 In recent years, Lugana wines have flourished and their production has greatly increased. In 2008 there were just over 7,300 thousand bottles made; now the zone produces almost 12 million bottles, which are sold in Italy (45%) but especially abroad in Germany, UK, Belgium, Northern Europe, USA, China and Japan. All of this sounds like a fairy tale. But a real nightmare now threatens: the high-speed train (in Italian, the Treno ad Alta Velocità, or TAV). 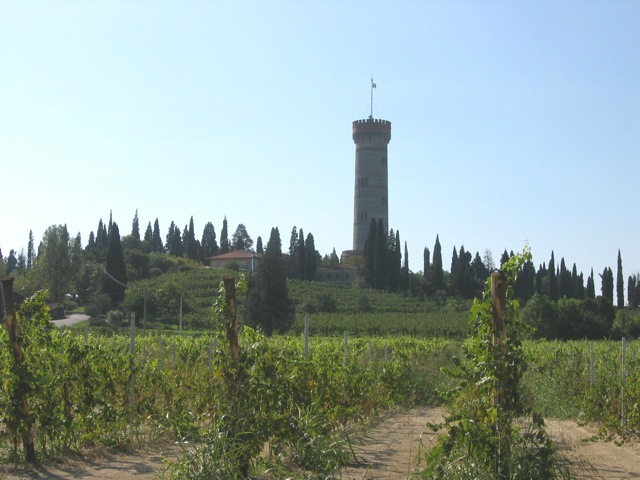 According to plans made over 20 years ago, a part of the TAV route that connects Milan and Verona will pass right through the vineyards of Lugana. “The current A4 motorway, which crosses the entire Po valley, linking many important cities like Milan, Turin, Venice, Verona, and Brescia, is already a gash in our land,” says the wine producer Francesco Montresor, president of the Consortium of Lugana and owner of the renowned Ottella winery. “And now the TAV is coming. 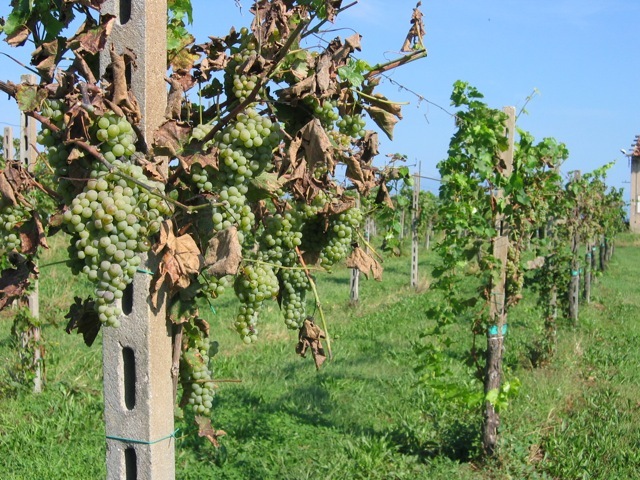 This would destroy hectares and hectares of vineyards, and for years, a suffocating dust would cover the region.” About a third of the Lugana area of production would be wiped out. In addition to the vineyards, wineries, farms and farmhouses would be destroyed, as well as olive trees — and Lake Garda is world-famous its olive oil. Not only that, but airspace must be protected up to 300 meters above the Laghetto del Frassino, a natural bird sanctuary, recently also declared a UNESCO site due to the presence of a prehistoric stilt house settlement. In short, the predicted environmental damage is catastrophic. During the decade of rail work, dozens of trucks would invade local lanes and villages. People would live surrounded by dust and noise. It would be the death of tourism and all related activities, and a terrible blow to the production of Lugana wine. Needless to say, local inhabitants have no love lost for trains like this. In Val di Susa (Piedmont), for example, where a similar railway is being built, sometimes the “No TAV!” protests have turned violent in confrontations with the police. Here in the Lugana area nobody wants this to happen, but there is a lot of unrest. The execution of this type of infrastructure project is extremely expensive, and the current economic crisis in Italy could slow down the course of the work. For this reason, the Consortium of Lugana and many farmers’ associations are struggling to change the route of the proposed train in order to save the vineyards. Time after time, the Consortium has submitted detailed memoranda on the critical area of Lugana. Among other concerns, the foundation of this super-train’s track might be in jeopardy because the deeper levels of the region’s clay soil have a fluid consistency. In recent months, all the agricultural associations and representatives of the municipalities have asked to meet with representatives of the Italian government and of the State Railways to discuss this problem. They were about to go to Rome when, surprisingly, last December, the resignation of the Mario Monti government and the announcement of early elections cancelled their appointment. A difficult situation. On the one hand you want to promote efficient public transportation. On the other hand you want to preserve nature. With increasing climate change, warming temperatures etc etc, it’s difficult to justify saving a vineyard for the greater good over high speed public transportation. As much as I love wine, a true environmentalist has to look at the bigger picture, and not just his/her own glass of Lugana wine. Still, this is a very difficult decision. Hopefully there is a way to still have the train AND save the vineyards. ideally, this would not be a zero-sum, either-or scenario, which would require the locals to look at it in a more open-minded way, instead of seeing it thru a more closed-minded “black or white” lens.